The Flex-a-lite 1000 is a must-have for racers, enabling you to cool your car quickly between rounds. It is also helpful in the garage to quickly clear smoke or fumes, or to keep you cool as you work with a steady stream of airflow. The Flex-a-lite 200 Dehumidifier is a compact, commercial-grade dehumidifier to keep humidity under control in garages, protecting cars and tools from rust and preventing mold or mildew in vehicles carpet, door panels and upholstery. Built-in automatic pumpout-routes condensed water to a floor drain, so there is no worry about emptying tanks. 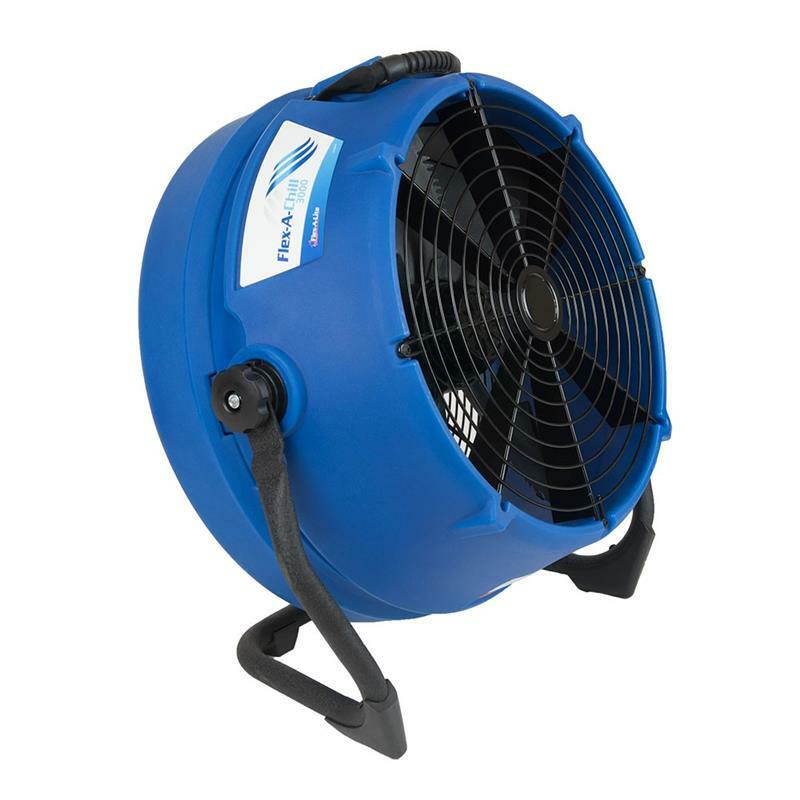 Use it to dehumidify in environments with temperature at 40-100 degrees F. For shops that are too large for one unit, position two or more around the space. The Flex-a-lite 200 can also be used to remove moisture after leaks or spills, or to help dry wet materials more quickly. When drying out damp spaces or materials, team the Flex-a-lite 200 with the new Flex-a-lite 1000 Airmover for the fastest and most effective drying. The Flex-A-Chill 3000 from Flex-A-Lite is the Perfect Airmover for the race track, your garage and the dyno cell. With 2,600 cfm of high-velocity airflow that you can direct exactly where needed, the Flex-A-Chill 3000 will cool your car down in a hurry. And it is low, 2.7-amp draw means it will not overtax trailer or generator circuits.